Shop Ernie Ball 6180 JR Mono Volume Pedal from AMS with 0% Interest Payment Plans and Free Shipping. 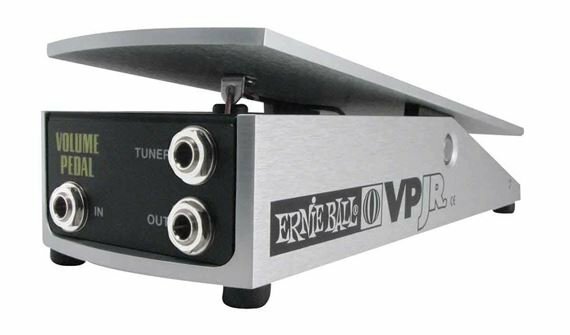 The Ernie Ball 6180 Volume Pedal Junior features a potentiometer that has a 250k ohm resistance suitable for the audio path of passive instruments. Behind the jack area under the footplate is a micro taper switch which provides the user two distinct volume swell rates. The main pivot shaft is of centerless ground 1/2 inch diameter stainless steel, precision seated though nylon bushings at both ends. Tough long lasting Kevlar cable transmits pedal travel to the controls and is attached by stainless steel springs. I bought it for swells and it does it well. This is my 1st volume pedal besides my boss gt-6. The sweep is different but nice and smooth. This is my second one in 7 years. Just the best!!!! Perfect footprint. No tone degradation. Highly recommend.